Entitled Re-Sounding the Films of Norman McLaren, and created especially for TIFF, this program features seven short films from McLaren’s legendary oeuvre, with original scores written and performed live by Toronto pop/psychedelic/experimental group Absolutely Free. McLaren’s films will be projected onto a wall especially painted for this event, which is presented by TIFF in collaboration with the NFB. From September 4 to 7, King Street West between Peter and University Streets will be transformed into a pedestrian promenade featuring art works across multiple disciplines, pop-up performances, a music stage, food trucks, relaxed seating areas, and much more. 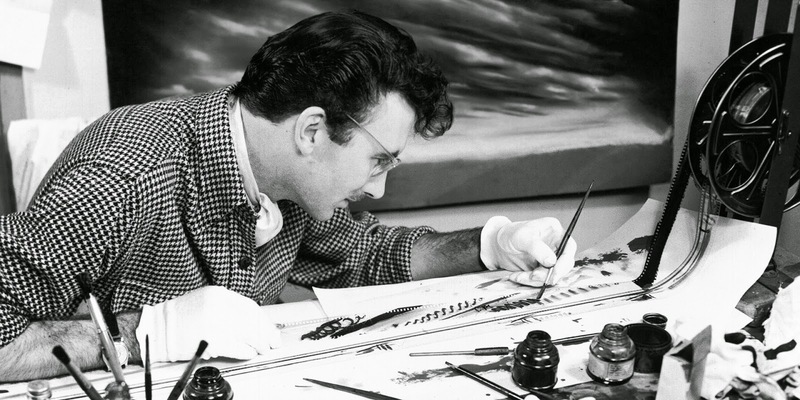 Re-Sounding the Films of Norman McLaren is one of a series of special activities taking place in Canadian and international cities to mark the 100th anniversary of McLaren’s birth, as well as the 75th anniversary of the founding of the NFB, in 2014. This outdoor screening takes place as TIFF’s Short Cuts Canada program features five films from the NFB’s Academy Award-winning animation studios: two newly restored classic 3D films ― Around Is Around by McLaren and O Canada by his frequent collaborator, Evelyn Lambart ― along with new works Me and My Moulton by Oscar winner Torill Kove, The Weatherman and the Shadowboxer by Toronto’s Randall Okita and CODA by Denis Poulin and Martine Époque. - Born April 11, 1914, in Stirling, Scotland, McLaren was an innovator across a staggering array of animation techniques, creating such pioneering works as the abstract drawn-on-film masterpieces Blinkity Blank and Begone Dull Care, and stop-motion pixilation classics like A Chairy Tale and his Oscar-winning Neighbours. Long before electronic synthesizers, McLaren was also a trailblazer in graphical sound, creating synthetic film soundtracks.